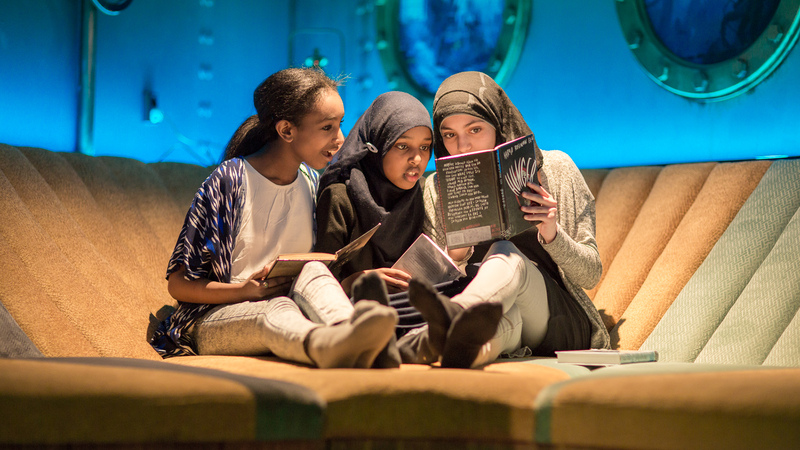 A ‘third place’ that feels like home. 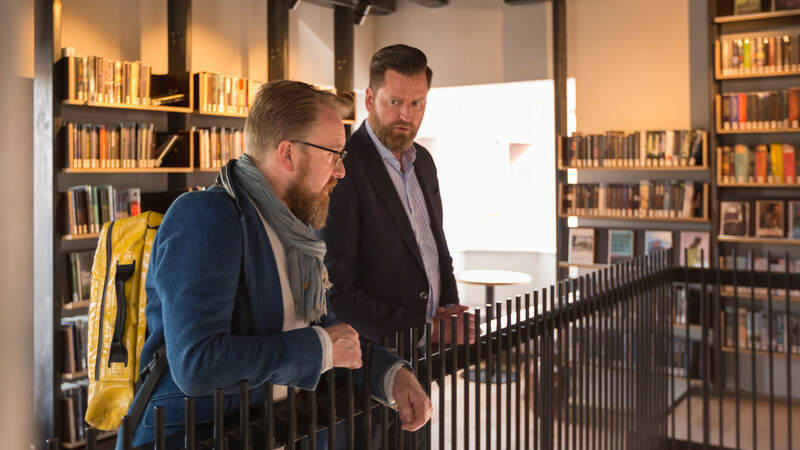 On Saturday, April 8th 2017, the official public opening of OBA Van der Pek took place in North-Amsterdam. 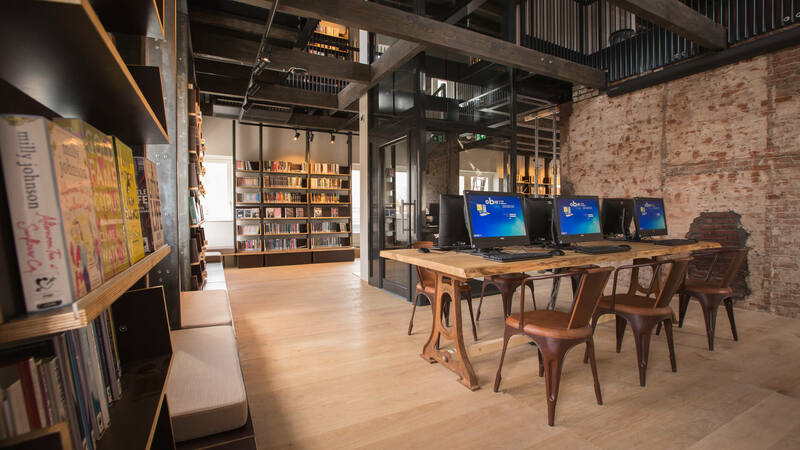 The library is located in a characteristic building in the Amsterdam School style, a landmark on the famous Mosplein that is bursting with creativity and entrepreneurial spirit. The OBA asked creative guide and architect Aat Vos to design the interior of OBA Van der Pek, while keeping in mind his vision of ‘third places’: public places that make a valuable contribution to a vital society. Wooden elements and colors, such as shades of red, brown, and gray create a warm and welcoming atmosphere in the former retail building. 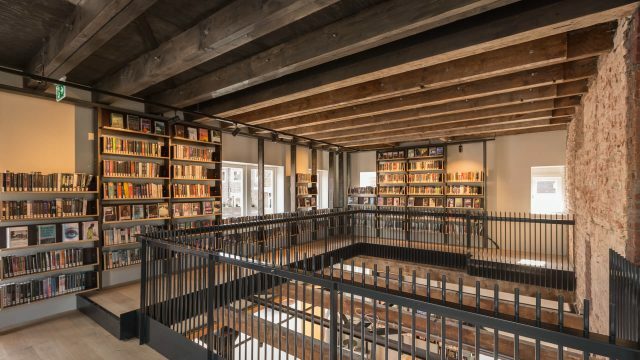 Eye-catching interior elements are among others the workplaces in the mezzanine, and the bookcases that run on along the walls of the mezzanine. Next to the coffee corner, there is also a generous balcony that is open to the public. These features give OBA Van der Pek its own vertical character which contributes to a pleasant ‘Experience’. 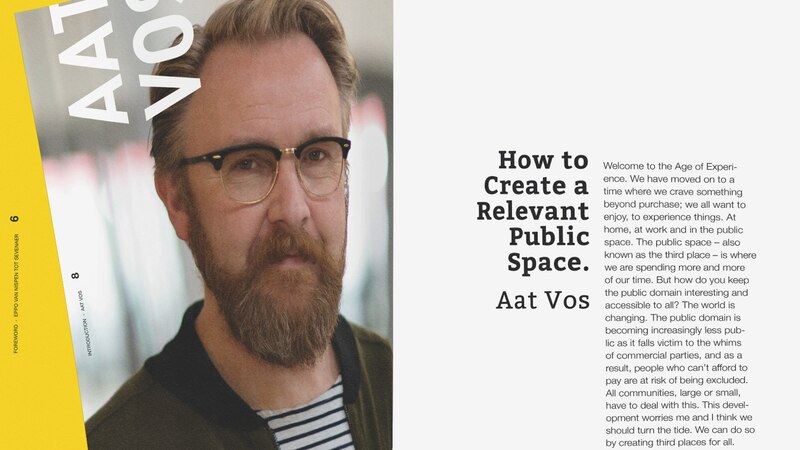 Together with ‘People’, ‘Product’, ‘Place’, and ‘Future’, that is one of the central pillars in Aat Vos’s book that has recently been published: 3RD4ALL, How to Create a Relevant Public Space. The ‘third place’ is the place where you spend time when you are not at home or at work. Third places are often public spaces, from libraries to cultural centers, and from parks to start-up cafes. In his new book, Aat Vos discusses the five important pillars that are part of a vital public space. His vision and findings are supported by more than twenty in-depth interviews with authorities in the fields of urban development and town planning, economics, architecture, design, gaming, sociology, and communication, such as Joseph Pine (author of The Experience Economy), Sergio Dogliani (Idea Stores, London), and Karim Rashid (designer). Colorful image reports of inspiring third places and city tours with public hotspots complete the image of the new public space. The book is published by nai101 publishers.